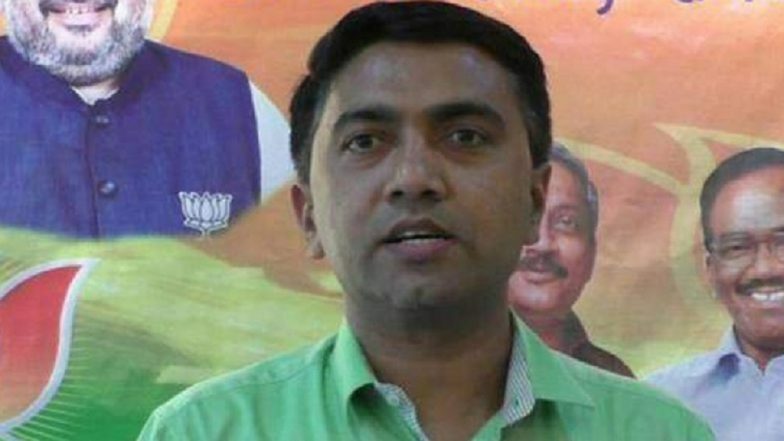 Panaji, March 19: At a sombre ceremony held at Governor Mridula Sinha's residence, BJP leader and the incumbent Assembly Speaker Pramod Sawant was sworn-in as the Chief Minister of Goa. The oath-taking took place hours after the cremation of late CM Manohar Parrikar. Sawant was accompanied at the Governor's residence by Union Minister and BJP veteran Nitin Gadkari. Earlier, the swearing-in ceremony was scheduled at 11am, with reports claiming that Goa Forward Party's Vijai Sardesai and Maharashtra Gomantak Party's Sudin Dhavalikar to be accommodated as Deputy CMs. The two parties, with three legislators each, are coalition partners in the BJP-led coalition government in the state. Notably, both the parties had contested the 2017 assembly polls without a pre-poll pact with the BJP, and later agreed to extend support only on the condition that Parrikar would remain the CM. GFP chief Sardesai had went on record to state that he is aligning not with the BJP, "but only with a government headed by Parrikar". In the 40-member Goa assembly, whose effective strength has been reduced to 36 due to death and defections of legislators, has 12 legislators of the BJP, 3 each of the GFP and MGP, 3 independents and 14 MLAs of the Congress -- who form the Opposition.